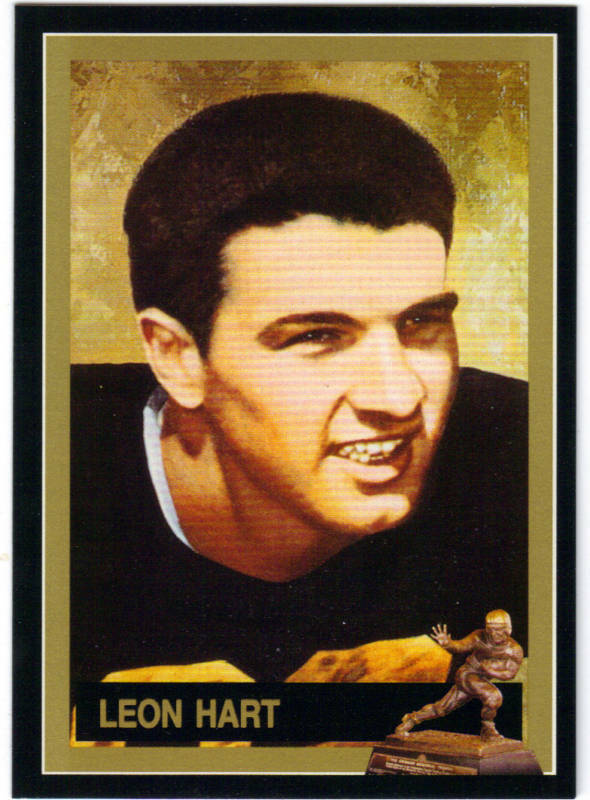 Heisman Trophy winner card of Notre Dame lineman Leon Hart, from the officially licensed Heisman Collection sets of the early 1990s. NrMt-Mt or better. ONLY ONE LEFT.